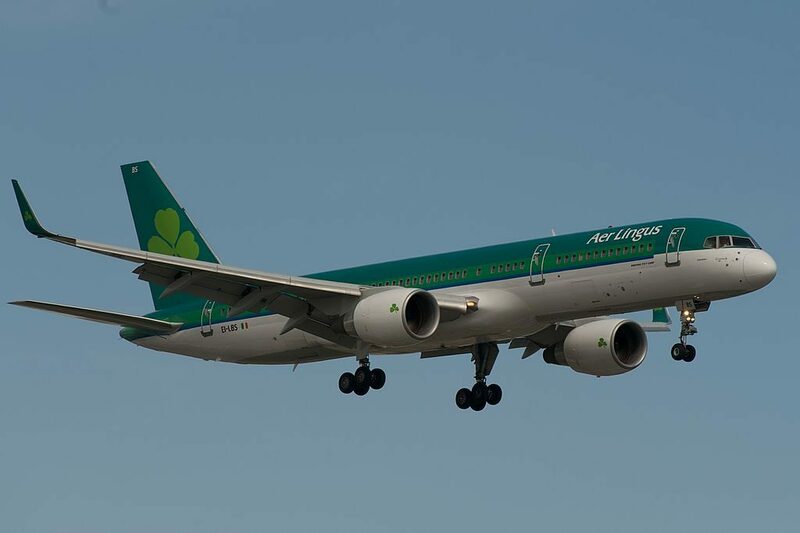 Aer Lingus Fleet Boeing 757-200 Details and Pictures. 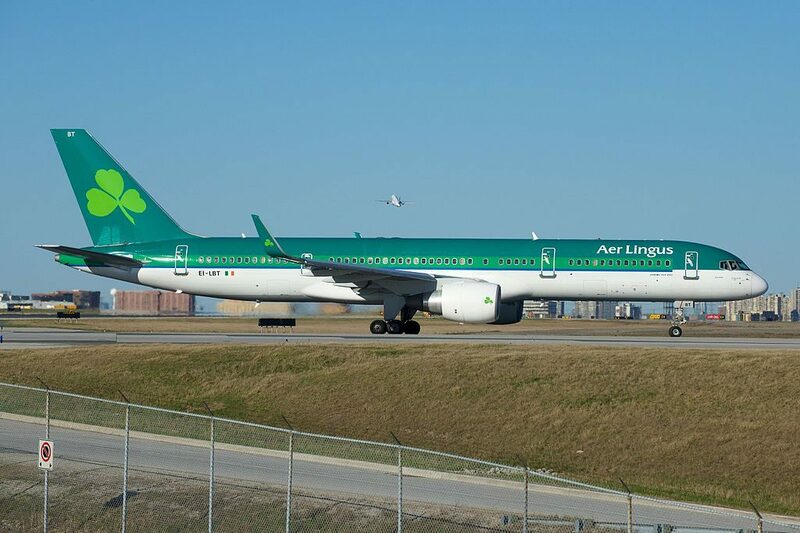 Operated by Aer Lingus aviation partners ASL Boeing 757-200 aircraft operate a number of our Transatlantic routes between Ireland and the East Coast of North America. The Boeing 757 is a single-aisle, medium ranged twin-engine jet airliner. 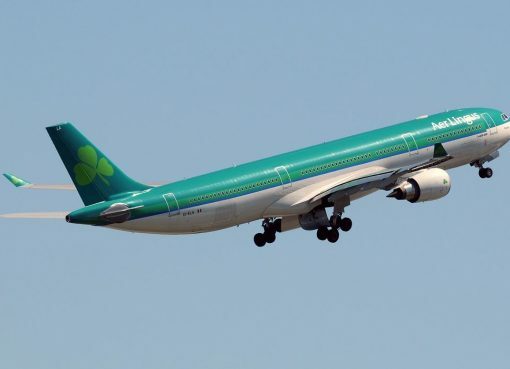 These aircraft operate on services from Shannon to New York and Boston and from Dublin to Toronto. Business class offers 12 flat bed seats that are located in the first 4 rows. All these seats are standard only such disadvantages as lack of floor storage during take-off and landing and close location of the lavatory may cause discomfort to passengers of the seats 1A and 1F. Business class seats are divided from the seats of economy class with a bulkhead. Before the first exit row 2 first rows of economy class seats are located. These seats have 3-3 configuration and are marked by Aer Lingus as Choice seats. Due to position of the bulkhead the legroom of the seats of the 5th row is restricted. Among other disadvantages: lack of floor storage during take-off and landing and reduced seat width. Missing windows make the seats 6A and 6F bad seats. Behind the exit row 17 more rows of economy class seats are located. 16 rows have 3-3 configuration and the last row of the section contains just 3 seats. The seats of the rows 7-10 are the seats that are marked by Aer Lingus as Choice seats. Thanks to the exit row located in front the seats of the 7th row offer extra legroom. The seats 7BC and 7DE are considered the best seats of the section. All the seats of the 7th row have the following disadvantages: reduced width because the video monitors and tray tables are built-in the armrests making them immovable and lack of floor storage during take-off and landing. One more disadvantage of the seats 7A and 7F is protrusion of the exit doors inside. Congregation of passengers in the area of the seats of the 22nd-23rd rows while waiting to use lavatories will cause discomfort to passengers of these seats. The last section of economy class seats contains 9 rows of seats that have 3-3 configuration. Passengers of the seats of the 24th row will feel comfortable thanks to extra legroom. However, these seats have no floor storage during take-off and landing and are a little narrower than standard. Protrusion of the exit doors is another disadvantage of the seats 24A and 24F. Because of limited recline the seats of the 32nd row are considered bad seats. Seats on the Boeing 757 have a minimum of 31″ pitch. 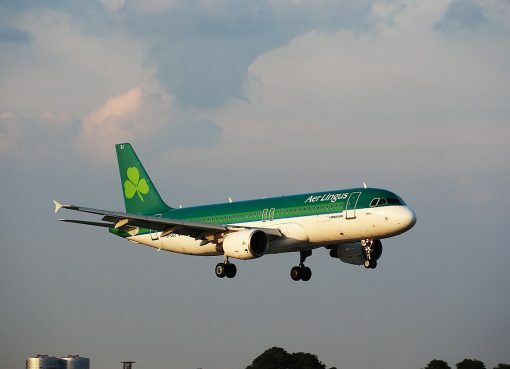 Whether you want to keep the family together, ensure you get a window or aisle seat, or upgrade your seat selection, here’s all you need to know on Aer Lingus seat types and their benefits. 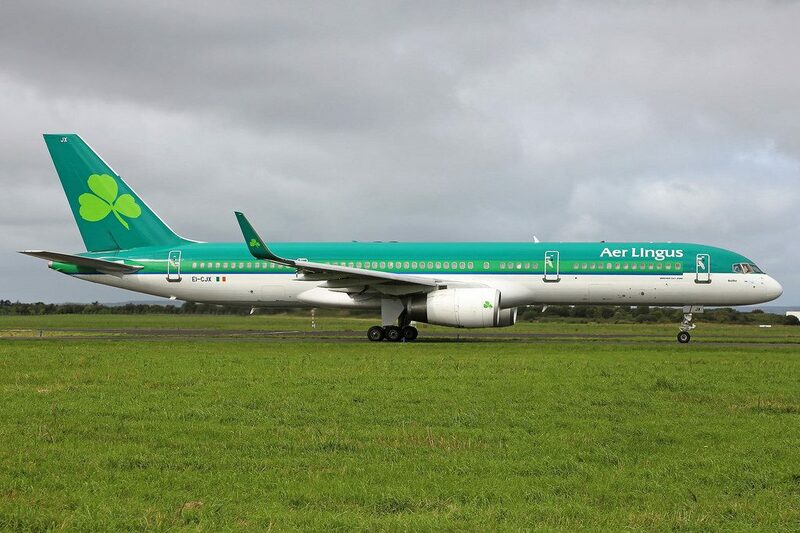 Aer Lingus introducing the Business Class Thompson aerospace lie-flat bed on board Boeing 757 aircraft. By mid May 2016 four Boeing 757 aircraft will be fully retrofitted with Business Class suite. A good night’s sleep is vital to staying healthy and alert, so we did the smart thing and made sure new seat transforms into a fully lie-flat 6.5ft long bed. And with a width of 22 inches, you’ll have plenty of room to stretch out as you dream your way across the Atlantic. Audio. Aer Lingus’ Boeing 752 features AVOD (Audio Video on Demand) in both classes. Passengers seated in Business Class may create their own personal playlists, using the thousands of MP3s available. Video. 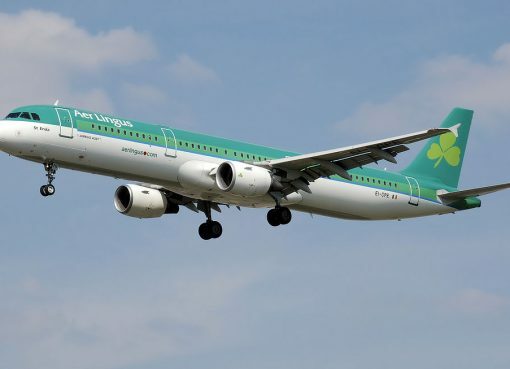 Aer Lingus’ Boeing 752 features AVOD (Audio Video on Demand) in both classes, which allows passengers to watch a variety of movies, television programs and music videos. Headphones are provided complimentary on all long-haul flights. AC Power. This aircraft is equipped with Ireland/UK compatible 240V AC power outlets at every Business seat. Food. Aer Lingus offers a variety of food options for purchase. Beverage service is complimentary. 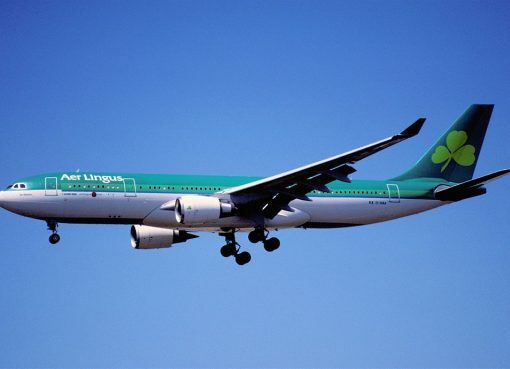 Aer Lingus offers the Sky Cafe service – hot beverages, muffins, biscuits, smoothies, soft drinks, spirits, beer, and many more items. 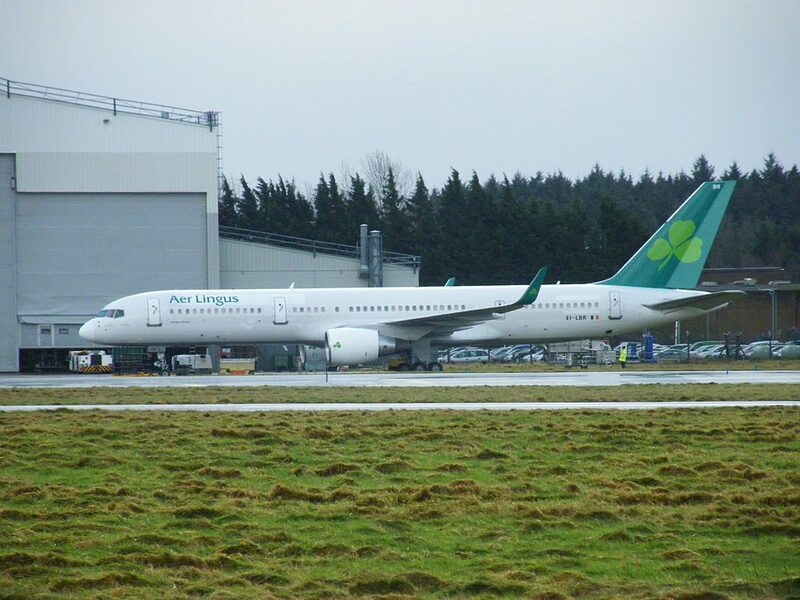 Thanks to visiting AirlinesFleet.com and read article : Aer Lingus Fleet Boeing 757-200 Details and Pictures.